I adored this story about two close sisters, Emily and Josephine, and the infidelity that threatens to tear them apart. On the face of it, Emily appears to be happy with novelist husband Michael, but when Jack, Josephine’s new boyfriend, enters their lives, everything seems set to fall apart. Emily and Jack begin a love affair, taking risks that had me on the edge of my seat, wondering whether this was the moment they would be found out. The foreshadowing is marvellous, the passion intense and the tension just builds and builds. Michael is a gorgeous character and I felt so cross with Emily and Jack for betraying him. Jack, on the other hand, is rather dislikable – selfish and pretentious – but for me this just added to the reasons to keep on reading. And boy did I read quickly – in a matter of hours – that’s a measure of how much I enjoyed this exhilarating book. Although devastating things happen, the tone is light and it is so easy to read. I liked that there are no neat endings here – the book is fluid and the writing beautiful. Nobody’s Wife is a complete contrast to Pearson’s debut, but every bit as good. Nobody’s Wife is published by Agora Books on 28th March 2019. 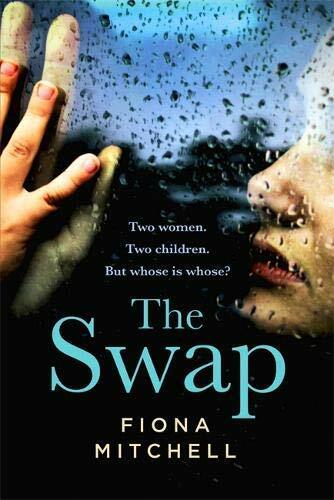 It’s a bit of a nail-biting time when the first copies of a new book go out into the world, so I’m absolutely delighted with this first review of The Swap. Huge thanks to bestselling author Louise Jensen for saying such lovely things about my second book. This is a book about a subject everyone has an opinion about, yet no one wants to think about too deeply – why a child would murder a toddler. The Flower Girls asks that question and more – how such a crime ripples out and virtually buries all the people affected, and what does rehabilitation even mean in the context of a young child who commits a crime? Readers will undoubtedly draw parallels with the James Bulger case, so this is tricky fictional ground to tread. Clark-Platts doesn’t shirk the responsibility. This is brave writing at its very best – beautiful, accessible, utterly compelling. 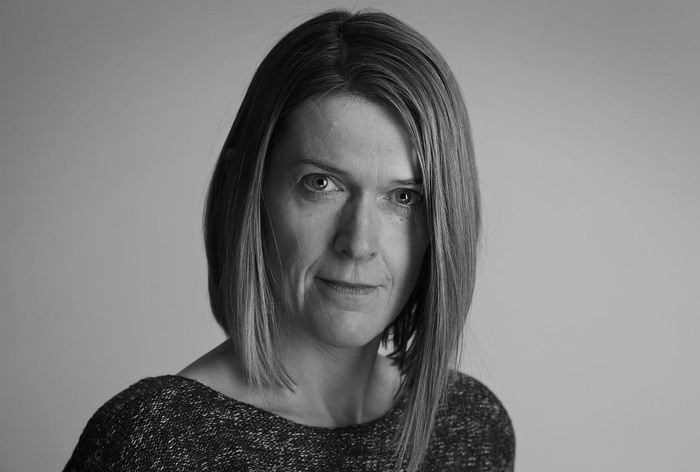 Clark-Platts peels each of the characters’ layers away to scintillating effect – from the has-been journalist, Max, desperate for a scoop, to Joanna, a member of the dead toddler’s family, who is drowning in rage. I felt so invested in all the characters that I kept reading far into the night. Not only is The Flower Girls a truly original book, it is an unforgettable one too. I can almost guarantee you’ll be altered by it. This book brought me so much joy. Strikingly funny, well-observed, and addictive, it is peopled with superbly drawn characters. I read it in about two days (and when I wasn’t reading it, I was wittering on about how much I was loving it). It’s Christmas and a family are in quarantine as daughter Olivia, a medic, returns from a stint treating a deadly and highly contagious epidemic in Liberia. Most of the family members she’s with are guarding secrets and when an unwelcome visitor arrives, the already strained atmosphere reaches boiling point. How I savoured this book and was sorry to finish it. The fact that it’s about an entitled upper class family may put some readers off, but the Birch’s country manor house, Weyfield Hall, dished up some delicious escapism as did their luxury Camden pad. Emma was the most privileged of the characters, but she was so funny and sympathetic that I fell head over heels in love with her. All of the characters made me smile though – Phoebe, George, Jesse et al. I simply couldn’t get enough of them. The book is pacey and oh, that ending – to say more about it would involve spoilers, but it was totally unpredictable. I loved everything about Seven Days of Us – the writing has real quality to it. It is the perfect festive read and is one of the best books I’ve read in months. An unstinting five stars. How We Disappeared is a shattering, tender and absorbing novel that centres around the unfathomable cruelty that women in Singapore endured when they were snatched by the Japanese Army and forced into sexual slavery during World War Two. It was harrowing to read of Wang Di’s incarceration as a ‘comfort woman’ – far too benign a description for the barbarism that many thousands of women endured across the occupied territories – yet what rings out from the book is human resilience and our capacity to love no matter how damaged we might be. Not only do we hear from young Wang Di, age just 16 when she is ripped away from her family and locked into the tiny room of her prison, but elderly Wang Di has her own chapters too. Grieving her husband, affectionately known as the ‘Old One, it transpires that neither of them, though traumatised by their experiences during the occupation, have ever shared with one another what really happened to them both. For Wang Di, this is down to the shame that attached to women who had been forced into sexual slavery; their treatment, once released, included being shunned and called traitors. In the aftermath of her husband’s death, Wang Di sets out to discover what he went through during the war. The third voice in the book belongs to the enchanting teenager Kevin. With his bottle-top glasses and his tape recorder, he starts to unearth a secret that his late grandmother had been keeping for decades. As Wang Di and Kevin set out on their individual quests to uncover the truth, the tension builds while we wait to find out whether their worlds will collide. The final chapters are suffused with kindness, the power of talking, love. Indeed they are so moving that I read them through a blur of tears. Meticulously researched, exquisitely written, with characters that will live and breathe in your hearts long after you finish the last page, How We Disappeared is a worthy testament to the women who were forced to become ‘comfort women.’ Not only does Jing-Jing Lee capture the horror of it all, but also the hope. I’m reeling from its power – what an absolute triumph. Gilda Meyer loves her son – it’s just she doesn’t know how to show him love. When Reuben marries Alice, who is the very antithesis of his mother, Gilda is consumed by jealousy, and her behaviour starts to unravel. It’s not easy to make a reader fall in love with a character who is as flawed as Gilda. She is difficult, snooty, and unhinged – and I absolutely adored her. She deserves to take her place beside character greats such as Olive Kitteridge and Eleanor Oliphant. The plot moves at a swift pace, interspersed with chapters from Gilda’s past, and the writing is fresh and original. The cast of supporting characters is a marvel, but I particularly loved wheezing, ‘lumbering’ and ever-kind Margo. Although this is an incredibly moving book – I sobbed my way through the final 30 pages – there are some wonderfully funny moments too. Bitter is completely cathartic, but has left me with one of the most severe book hangovers I’ve ever experienced. Frankly, it’s a masterpiece.